While hotels once had total control over the lodging market, Airbnb is quickly changing the face of the industry. In 2017, 25% of leisure travelers and 23% of business travelers expected to book a stay on Airbnb, a respective increase of 19% and 18% from the previous year. What is more concerning for hotels is that 50% of Airbnb guests use the service to replace traditional hotel stays. Airbnb’s share of room night bookings in the US also continues to grow, reaching approximately 8.1% last year. With its success, Airbnb has started opening home-sharing apartment complexes that function very similarly to hotels. Tenants will be able to rent out their apartments or individual rooms on Airbnb and guests will have full access to hotel-style amenities, including laundry service, luggage storage, and concierges. After working with development firm Newgard Development Group to build a 324-unit building in Florida, the project is set to expand to Nashville and several other cities over the next few years. However, hoteliers should not be too discouraged by Airbnb’s success since hotels across the country are generally continuing to experience high profits and ADR growth despite the competition from Airbnb. As explained by Sangeet Paul Choudary, Airbnb does not follow a typical linear model like most traditional hotel chains. 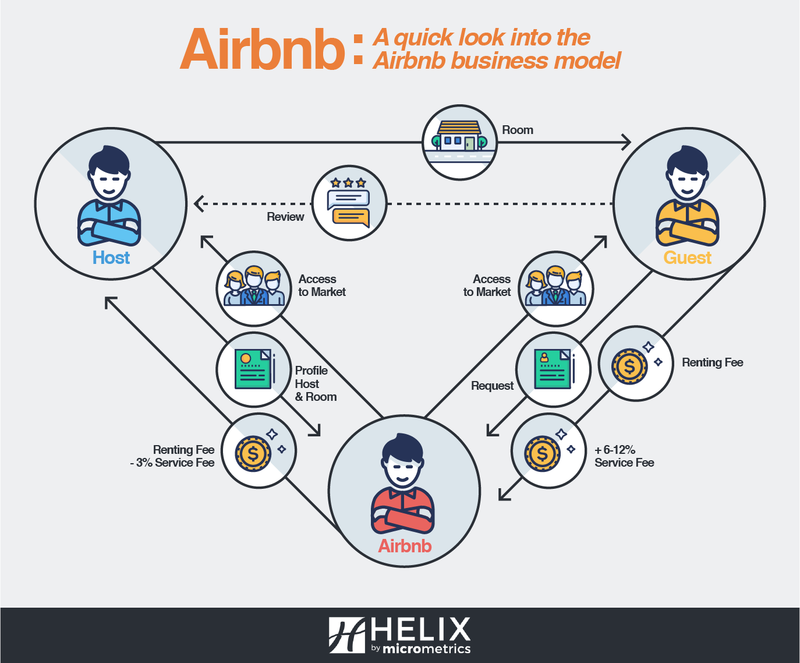 Instead, Airbnb has led the way for hospitality in the sharing economy. While hotels focus their strategy on owning resources like rooms and maximizing their occupancy rates, Airbnb focuses on managing the marketplace. Ownership is instead left in the hands of the public. Today’s traveler wants locally made and authentic experiences. They want to feel truly connected with the local community and fully experience the culture. Nearly 50% of global travelers have chosen their destination based on the country’s culture and people and 54% want to experience an adventure on their next vacation. The demand for this growing segment of travel has had far-reaching effects, impacting almost every segment within the tourism and hospitality industry. Travelers are price sensitive and more susceptible to deals and recommendations than loyalty programs. Budget is a key factor in the decision-making process for 70% of leisure travelers and 60% of travelers overall. 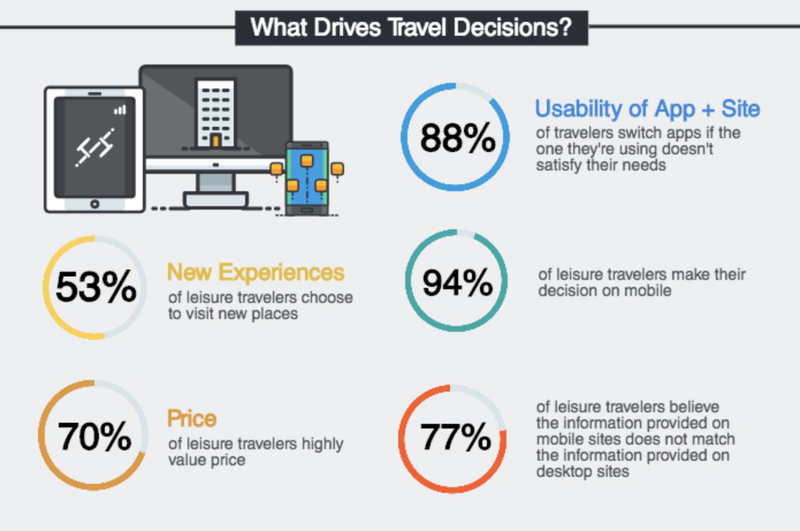 Travelers rely heavily on technology during all stages of the decision-making process, including research and booking. A recent study found that 70% of travelers agree a hotel’s website, app and other digital tools impact their booking decision and 50% of Google Hotel Ads referrals from smartphones — a number that is growing by nearly 2.4 times each year. With that in mind, only 31% of leisure travelers and 53% of business travelers have used their smartphone for booking. Moreover, 77% of leisure travelers believe the information provided on mobile sites does not match the information provided on desktop sites and 88% of travelers will switch apps if the one they’re using does not satisfy their needs. To keep users from switching to competitor sites, hotels should optimize for mobile, emphasize user experience, and include videos for both mobile and desktop sites. Nearly 95% of leisure travelers with smartphones make their decision on mobile but move to another device to book. This is because of the current limitations of mobile booking sites and apps, and the anxiety travelers feel when booking on mobile. As mentioned, one stress users face is the belief the information on mobile sites does not match the information provided on desktop sites — over 50% of users switch from mobile to desktop to double check hotel prices. Hotels should make their mobile users feel more assured by clearly displaying all important information and offering reassurances such as best price guarantees. Considering how 52% of travelers with smartphones switch sites or apps when they take too long to load and 45% switch when there are too many steps to book or get the desired information, hotels should prioritize user experience. This can be done through simple improvements, such as minimizing popups and implementing auto-fill forms. Lastly, 60% of travelers who watch online videos do so to narrow down brand choice, destination or activity. During the research phase of their decision process, videos can be highly influential. For this reason, hotels should implement videos on both mobile and desktop sites showcasing their property. Hotels can use technology to improve their operations, a change that would help them compete in this new marketplace. For example, hotels could reduce their total operational costs by 6% just by focusing on upgrading their utilities. By replacing old thermometers with new occupancy sensors each hotel room can save an estimated 12-24% in heating and cooling energy. The same concept can be used for lighting as well, with LED lights using 75% less energy and lasting 25 times longer than incandescent bulbs. Since Airbnb users complete their entire guest journey on their platform, Airbnb is able to gather important guest data that they can use to improve the guest experience and find opportunities for growth. By having fragmented communication across departments and a disjointed guest journey, hotels are missing out on a vast wealth of guest data. By unifying the guest journey and interdepartmental communication, hotels can create more in-depth guest profiles and learn more about what their guests want. Hotels have the ability to offer their guests the same level of culture and authenticity as Airbnb. 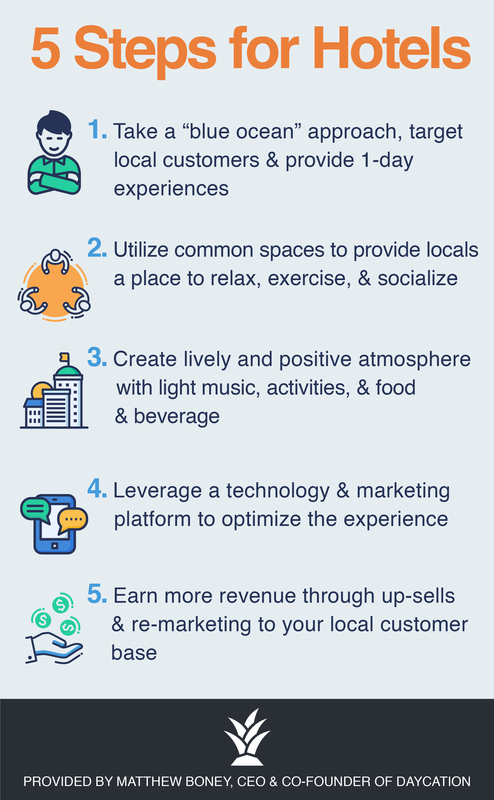 To reach their potential, hotels should better integrate themselves into the fabric of the local community and showcase the local culture through every guest touchpoint. To start, hotels should update the design of their properties to include local influence and encourage social connectivity. Colour, furniture, fabric, and decorations can all be reflective of the local culture while the lobby can be reconfigured to become a space for the guests to mingle and interact with each other and locals. In fact, there has been an industry shift towards lifestyle inspired and design focused hotels. By the end of 2017, there is expected to be a 30% spike in bookings for this kind of hotel in the US. Moxy Hotels noticed this trend and decided to build a brand that was more reflective of the modern traveler’s desires. As Vicki Poulos of Moxy Hotels shares, “it’s like a boutique hotel that has the social heart of a hostel. That’s why people stay at an Airbnb, so we built a brand that had the same communal spirit”. Considering 65% of travelers want to end their trip having experienced something new and 69% would rather spend money on better activities than a nicer hotel room, hotels should promote and recommend authentic local experiences. As Elizabeth Lowrey, principal and director of interior architecture at Elkus Manfredi Architects, explains “people who choose Airbnb are seeking an intimate, non-manufactured experience. They want to be embedded in the fabric of the community where they can feel the uniqueness of place”. Hotels can deliver those types of experiences through updating their menu to feature local cuisine with locally sourced ingredients and through building relationships with local artists and businesses. Interestingly, 85% of leisure travelers decide on activities only after having arrived at their destination. This can be a huge opportunity for hotels since 67% of travelers feel more loyal to brands that share information during their trip that improves their travel experience. Hotels can offer this important information by having activity recommendations on their sites, locally aware staff, or emailing the guests during their stay with suggestions. Lastly, hotels should look into replacing their traditionally consistent room layouts with tailored and personalized room layouts. More than 50% of Airbnb users chose to book with Airbnb because of their unique accommodations, including the availability of kitchens. By offering guests a wide selection of room types with varying amenities, guests can not only choose a room that fits their specific needs, but also “live like a local”. Find out how hotel brands are using technology to exceed guest expectations in The Strategic Guide To: New Tech & Traveler Trends. Curious about how Helix can help you? Schedule a demo to find out why successful hoteliers all over the world use Helix to drive guest engagement and increase revenue.